I have probably mentioned like a million times that bread making is not my forte. The closest that I ever consider of baking a bread is to get myself a bread maker which sadly, still amongst my very long wish list of kitchenware. Making our own pizza dough was my friend’s idea. I was my friend’s baking assistant on that day and for once, I had the pleasure of having someone doing all the work while my job was to take photographs and EAT! I think I can use to that ha! Surprisingly, once I’ve witnessed how it was done first hand, the fear of bread baking has diminished. It wasn’t scary or cumbersome at all. With proper planning, it can be a form of relaxation (honest!) and the end result was very rewarding, like most food that was made from scratch. Note: The only change we’ve made was not adding oil to the dough. 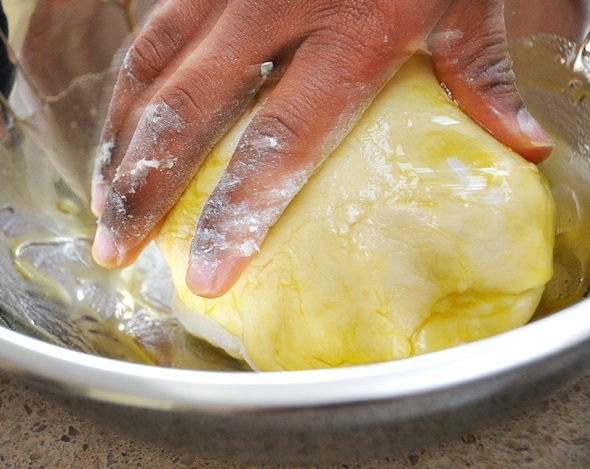 We simply coated the dough with olive oil. 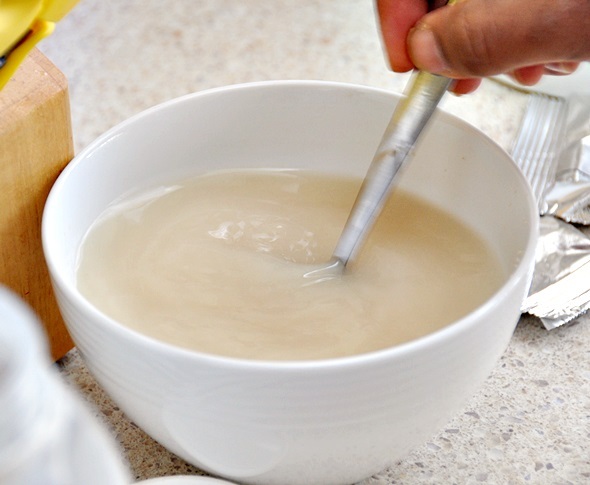 In a small bowl, stir together water, yeast and sugar until well mix. Set aside for a few minutes or until foamy. 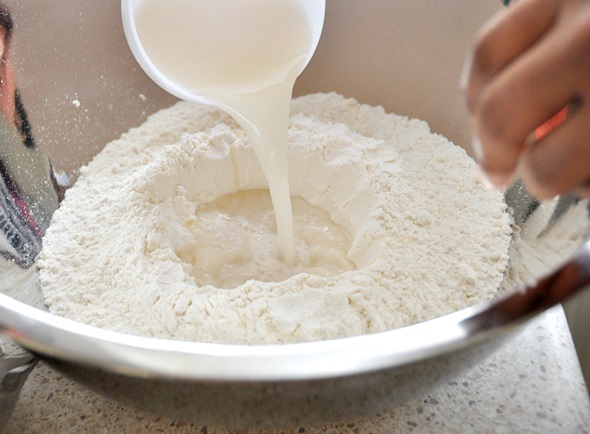 In a large mixing bowl, combine the flour and salt and make a well in the center. 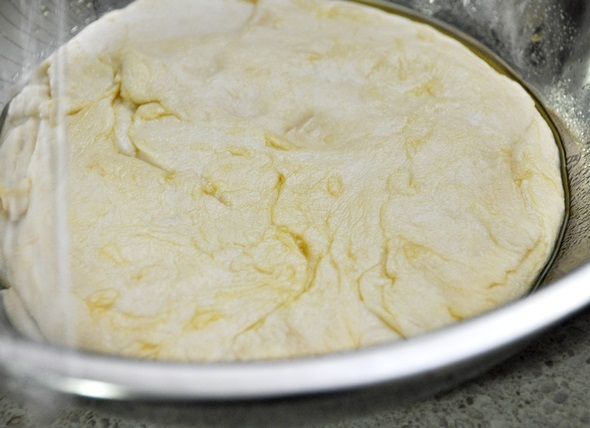 Then gradually pour the yeast mixture into the center of the well while using your other hand to combine and flour and yeast in a circular motion until a dough is roughly formed. 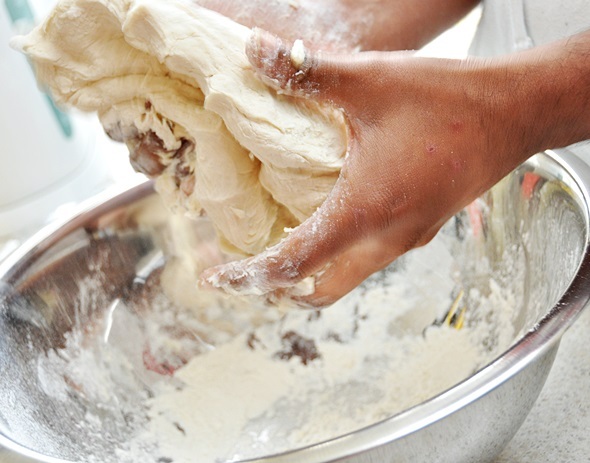 Dust the dough with a little flour and knead the dough for 10 minutes or until smooth and elastic. Dust with more flour if necessary. 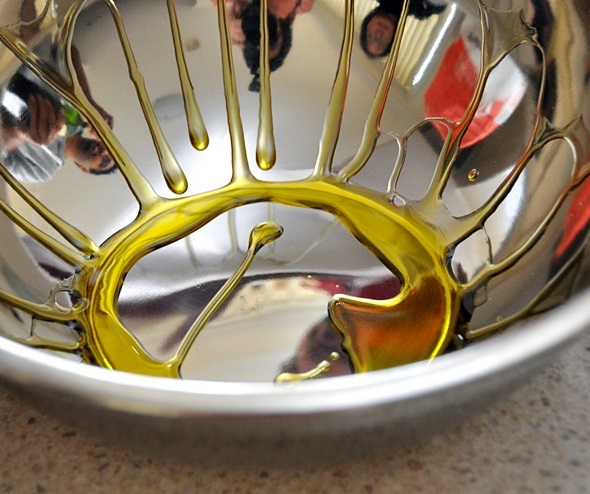 Drizzle some olive oil in the mixing bowl and place the dough in the bowl and turn to coat in oil. Cover with cling wrap and set aside in a warm, draught-free place to rise for 30 minutes (as recommended by Taste.com.au) or until dough doubles in size. (We set aside the dough for 4 hours). 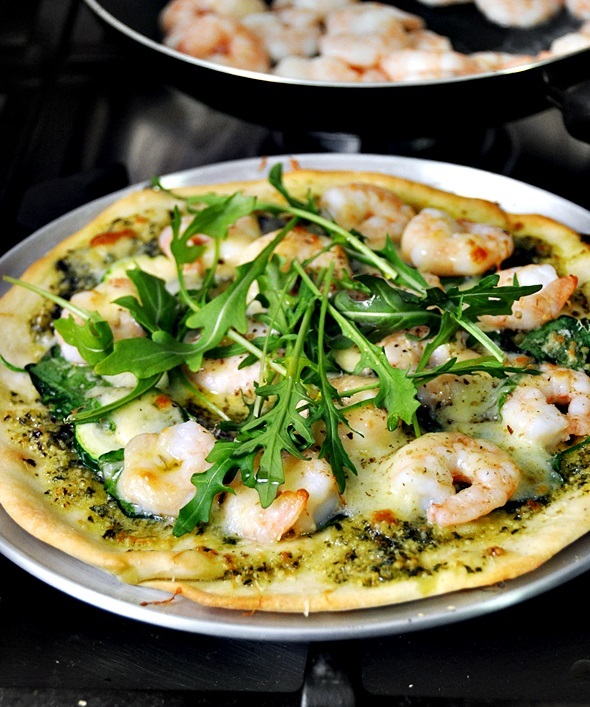 I love prawns on pizza. 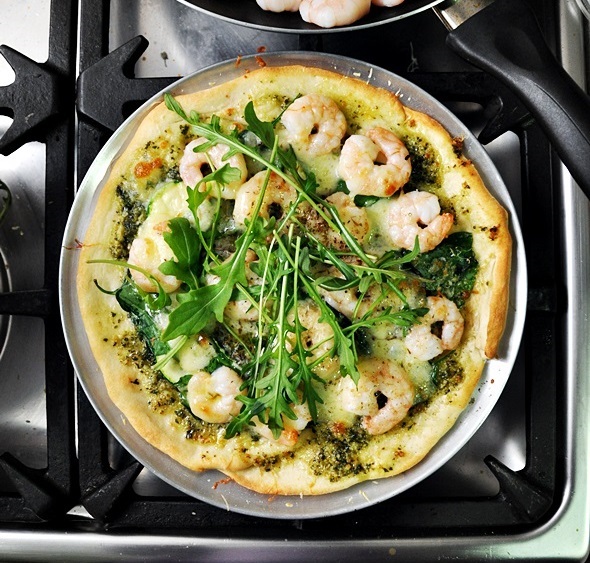 I smeared some homemade basil pesto on the pizza dough and strategically arranged the sautéed prawns (with olive oil). Then I scattered grated cheese (quite generously) and some dried Italian herbs as a finishing touch before baking. For visual effect as well as taste, I scattered some fresh rocket leaves (arugula) after the pizza has finished baking. 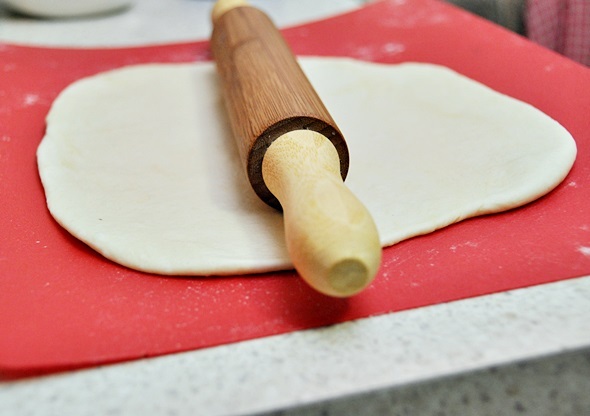 Have you tried making pizza dough at home? 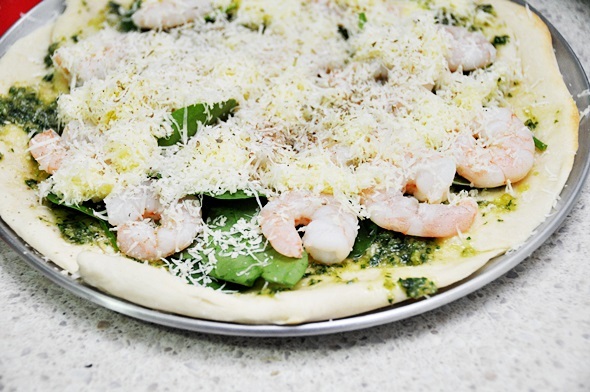 What’s your favourite toppings? great recipe! i LOVE the looks of that pizza. 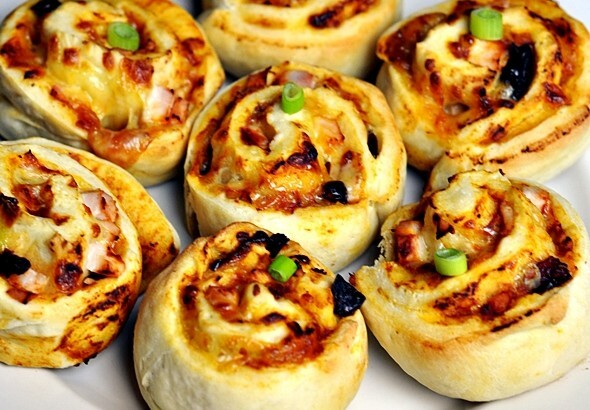 Pizza dough is really only a step away from making your own bread! 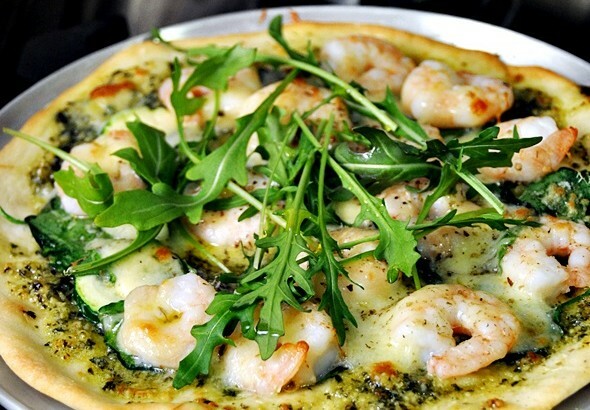 Your prawn pizza looks awesome. 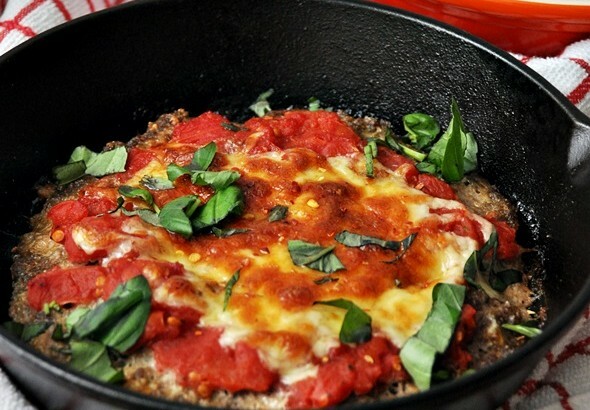 I love to make potato pizza, eggplant and rocket or pear, gorgonzola and walnut. Yum! Your oiled bowl-photo is really cool! You can also see all the people reflecting in it :). I’m always making my own pizzadough whenever we eat pizza. 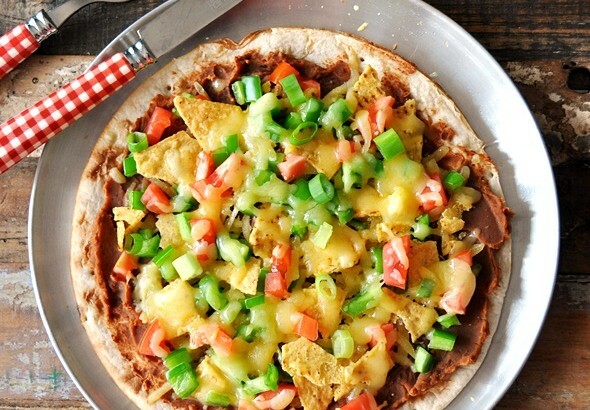 Everyone loves picking their own favourite toppings. Recently I’ve bought a pizzastone, and the pizza’s baked on it were really delicious; crispy bottom!